RENTAL RATE INCLUDES, ONE BRAND NEW CHAIN (71PM3 72) QTY. 2 OF AP 300 BATTERIES (KEY # 630458), QTY.1 OF AL 500 HIGH SPEED BATTERY CHARGER (KEY # 630457), AND BAR AND CHAIN OIL (KEY # 630459). WILL BE ADDITIONAL CHARGES IS ANY OF THESE ITEMS ARE DAMAGED OR MISSING UPON RETURN. ADDITIONAL CHAINS MAY BE PURCHASED IF NEEDED. 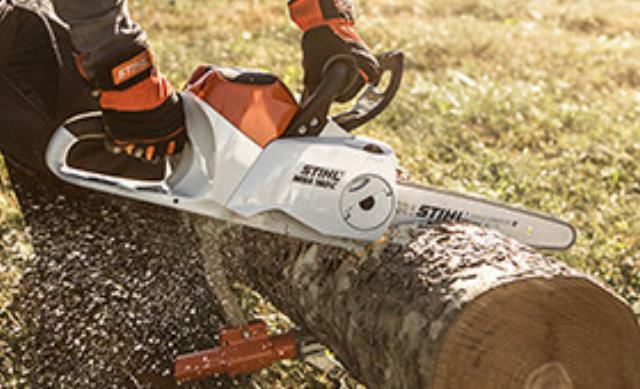 STIHL battery-powered chainsaws bring the best of both worlds to your property. First, they deliver strong, consistent power thanks to their 36-volt Lithium-Ion technology. They re also significantly quieter than gasoline-powered chainsaws and start instantly with the squeeze of a trigger. It s big performance in a small, cordless package. * Please call us with any questions about our saw 14 inch chain battery power msa 200c rentals in Tulsa OK and neighboring communities in Northeastern Oklahoma.